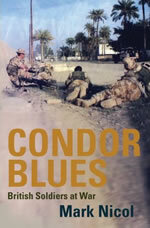 Condor Blues is an action-packed, dramatic and true account of contemporary soldiering. It also shatters the conspiracy of silence over the direction of British operations in post-war Iraq. Gallantry medals may have been awarded on a scale unprecendented for half a century but in winning the battles, the British Army lost the peace. 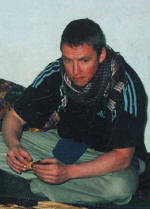 Author Mark Nicol focuses on the lives of two platoons based at the isolated Camp Condor in Iraq's Maysan Province. The soldiers' task was to live with and train Iraqi Civil Defence Corps recruits. Their lives jack-knifed from moments of force to farce, they engaged in disturbing yet amusing pranks on a daily basis. They were also plunged into the biggest and bloodiest battles involving British forces in Iraq. After one firefight they carried the broken bodies of those they had slain from the battlefield - the emotional impact was devastating. Based on hundreds of hours of interviews, Condor Blues is an honest and visceral account of soldiering in a brutal environment dubbed 'Hell with flies'. The flawed thinking, the missed opportunities and the 'heavy metal' tactics that proved so counterproductive are all laid bare making this essential reading for anyone seeking an impartial account of the most violent and controversial period of modern British military history.